When your dryer is broken and you have to haul your laundry back and forth from the laundromat, not only is it using up your time, it’s also costing you money. In times like these, you need to have your dryer fixed as quickly as possible so that you can spend more time at home than at the laundromat. At Central One Service, we have seen all of your dryer problems before and are experienced in providing a full diagnosis. Once we know the proper treatment, our fully licensed and insured technicians will efficiently fix the problem at a fair and competitive price. We can be there at any hour! With our 24-hour emergency appliance repair and professional services, you can get back to your normal routine with clean, dry clothes in no time! Plus, all service calls made during regular business hours are FREE with repairs. Stop lugging your laundry all around town! Contact us now for dryer repair in Little Rock and central Arkansas. For over 35 years, we’ve been providing outstanding repairs and service to Little Rock, Arkansas and the surrounding areas. Dryers can run into several problems over the course of their life. If you start to notice that your appliance is exhibiting any of these signs, call Central One Service right away. Too hot – When a dryer gets too hot, it can be an extremely dangerous situation that requires resolution as soon as possible. If you want to try to find the source of the problem, make sure to let it cool down as materials inside might still be hot. Noisy – When your dryer makes a humming, thumping, or squeaking noise, it may be a sign that it is in need of attention. With the many moving parts of a dryer, it could be any number of issues, but a likely culprit is a failed dryer drum seal from frequent overloading. Doesn’t tumble – If your dryer still turns on but the drum won’t spin or tumble the contents of your wash, it can be very frustrating and can cause your clothes to only dry on one side. The most common reason for this might be a faulty dryer belt. If it is a problem with the motor or switch, it would require the help of a professional. No heat – If the dryer is still tumbling but not producing any heat and therefore not drying your clothes at all, it can be the result of a variety of problems. Once you have made sure that the issue is not because the dryer setting has somehow changed, you can look for issues with either the electronic ignition or thermal fuse. Problems arise in these items due to blocked ventilation, too much lint, or overloading the machine. Takes too long for clothes to dry – Your dryer might be producing heat, but sometimes it takes a long time for your clothes to fully dry. In many cases, it might be as simple as cleaning out your lint tray in order to let the air flow, which is also necessary to prevent fires. However, if the issue persists, then it would need a professional to take a look. 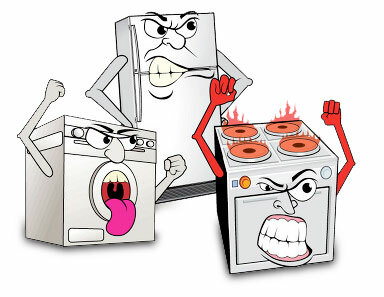 Contact us for Dryer Appliance Repair & Service! As you can see, your dryer problems may be caused by a number of different part failures or other issues. At Central One Service, one of our certified technicians will have all of the tools to easily diagnose the problem as well as the training necessary to replace faulty parts. If you are in need of dryer repair in Little Rock or central Arkansas, contact Central One Service. We’ve got almost 40 years of experience in professional dryer repair!